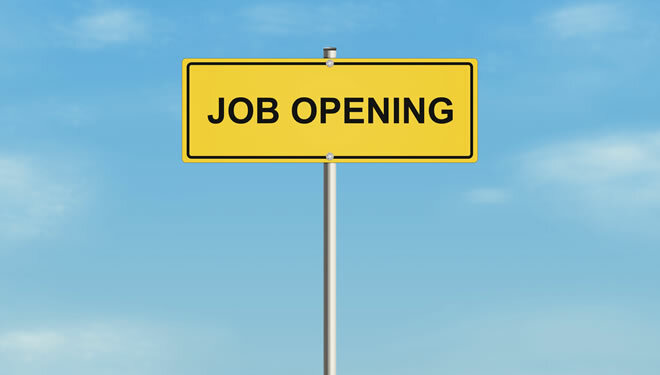 The Second Judicial District Court is accepting applications for two (2) Court Clinical Services Coordinators at the Juvenile Justice Center – Youth and Family Counseling (#54380 JTC-YFC ) and (#526 FSS-YFC) . SUMMARY OF POSITION/S: Under direction, and consistent with professional licensure, shall provide clinical services including individual, group and family therapy to the Juvenile Treatment Court program and the Youth and Family Counseling (YFC) at Children’s Court as defined by the NM Statutes including; independent clinical findings to aid the Judge in determining supervision conditions and sanctions; and staff referral(s) to appropriate Specialty Court or Problem Solving Courts. May administer and interpret results of psychological tests as appropriate to licensure; will provide staff training as directed by administration, clinical case management and provide crisis intervention with program participants. May be called on to attend court hearings, meet with service providers or provide assistance to Specialty/Problem Solving Courts. Will collect and present statistical data and provide growth and expansion to the Juvenile Treatment Court program. Will provide clinical support to Youth and Family Counseling and Juvenile Treatment Court. Desired Skills/Experience: Experience working with juveniles and families from culturally diverse communities that have been affected by substance abuse disorders. Licensure: Must possess and maintain current license to practice in the State of New Mexico as a Licensed Professional Clinical Mental Health Counselor (LPCC), Licensed Independent Social Worker (LISW), Licensed Marriage and Family Therapist (LMFT), Licensed Masters Social Worker (LMSW), or Licensed Mental Health Counselor (LMHC) or license to practice in the State of New Mexico as a Psychologist. Experience: Five (5) years’ experience working with adults, and/or families in a therapeutic setting. One (1) year experience in business administration, contract services or a related field. Experience Substitution: A licensed PhD in Psychology, Counseling or other mental health related field may substitute for two (2) years’ experience. Knowledge/Abilities: Knowledge of counseling principles and methodologies; behavioral health systems; criminal justice system and probation; therapeutic jurisprudence; individual and group behavior; crisis prevention and intervention; clinical interviewing and assessment; treatment protocols; counseling theories and techniques; substance abuse/chemical dependency; mental health etiology; psychopathology; psychiatric and co-morbid disorders and treatments; NM Counseling and Therapy Practice Board ethical standards; HIPAA; domestic violence and child abuse; treatment planning; resources within the community; legal processes and procedures related to mental health; cultural diversity; eligibility and suitability standards associated with individual specialty courts; crisis prevention and intervention techniques; and psychological testing protocols. Clinical knowledge of the request for proposal (RFP) process including aspects of program design, probation objectives; and the ability to communicate sound clinical practices according to professional and community standards. Salary: $28.128 to $35.16 hourly plus benefits. To Apply: Send application or resume supplemental form to: Second Judicial District Court, Human Resource Office (room 325), 400 Lomas Blvd NW, Albuquerque NM 87102 / fax (505) 841-7569. Applications without copies of information requested on employment application form will be rejected. Application forms can be found at www.nmcourts.gov.